A company by the name of Majesco started to take over manufacturing of systems for Sega in 1998 with their release of the Genesis 3. The system retailed for $29.99 and came packaged with one controller, AV cables, and a power cord. The controller that was featured as a pack in was the new Sega six button controller. The system itself was very tiny, about the size of two controllers for the system. 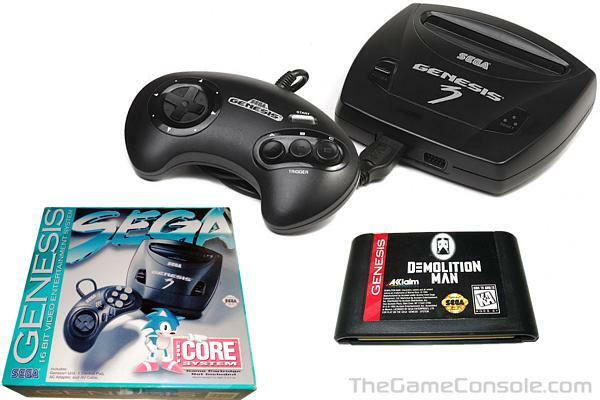 The system lacked the expansion port that the Genesis 1 and Genesis 2 had and thus could not utilized the function of the Sega CD 1 or 2. The Genesis 3 could not utilize the 32X either. Besides redesigning the Sega Genesis, Majesco also re-released certain games for the system. They came in cardboard boxes with black and white instructions. Majesco had also done some re-releasing for the Sega Game Gear and the Super Nintendo. At the same time they were doing work with the Game Gear, they had plans to re-release the Sega Saturn, but as of yet, nothing has been done. The following games do not work (per Genesis 3 Instruction Manual): Virtua Racing. The Sega Channel Modem also does not work.